It is a beautiful summer day but something is not quite right. That new import car that you recently bought is not running smooth like it should. There is a weird sound coming from the engine. In addition, the worst thing imaginable happens. After making a short stop at your local convenience store the car will not start! The cause of your problem is trying to start a hot car in the summer. Vapor lock, the silent monster of summer disables many vehicles when the temperature outside rises above normal. When an engine overheats, it radiates that heat to surrounding engine components. When you turn off the hot engine, the radiated heat goes back into the engine, affecting critical parts. 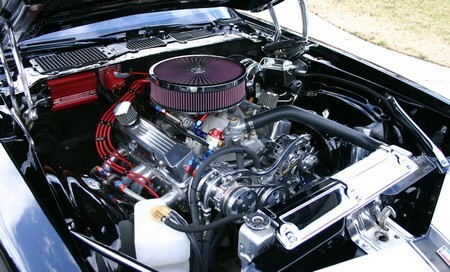 Fuel lines, fuel filters and carburetors are all venerable to vapor lock caused by appalling heat. When there is excessive heat around an engine, gasoline boils. Boiling gasoline creates a gas vapor that traps in curved components of an engine. So do not try to start your vehicle in hot weather after driving for an extended period of time that has caused the engine temperature to redouble abnormally. A tip that you should know is that if you are buying a vehicle try to get one with fuel injection. Fuel injectors run at a higher fuel line pressure than your normal vehicle. This high-pressure will circumvent vapor lock. Check the route of your fuel line. If it is near the manifold of your car, you may want to shield it to minimize heat transfer. The use of fuel line insulation, spacers and heat dissipating fins is a proven method of minimizing problems when starting a car with a hot engine in the summer. Keep in mind that problems starting a hot engine in the summer may not be due completely by your ignorance. If you notice your car exhibiting this foul behavior in the spring months, you could be a victim of the major gasoline companies. Gas refineries water-down their gasoline in the summer months so that engines will run cool. In the winter, gasoline producers increase the potency of gasoline to allow for better starts during cold weather. A problem starting your vehicle with a hot engine in the summer could arise from winter grade gasoline left over from the cold months of winter vaporizing abnormally in the hot summer weather. Maybe the best thing to do when temperatures rise and engines overheat is not to drive at all. The expanding of engine cylinders during hot weather is unavoidable so, limit the amount of time driving in high heat, schedule errands and other business during the cooler hours of the day. Consider these tips and you can avoid the pitfalls of starting a car with a hot engine in the summer.